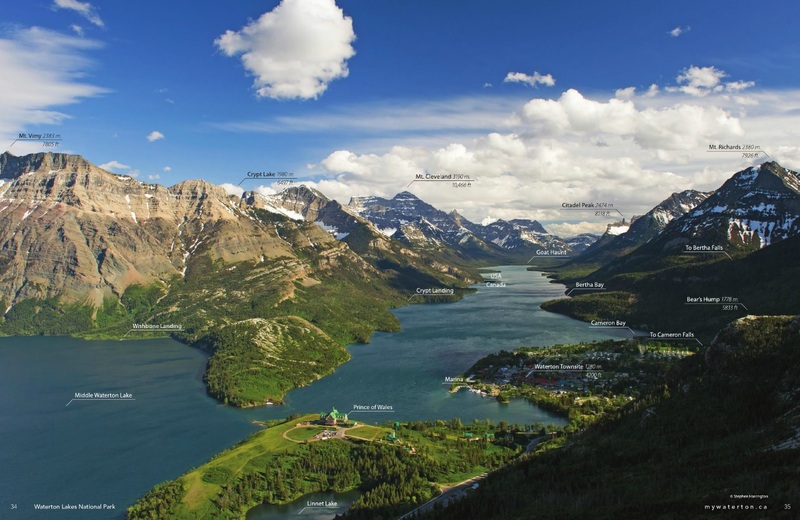 The Waterton Lakes National Park Activity Guide will be packed with travel information: maps, lodging, dining and shopping suggestions, and much more. Readers will learn about the local wildlife, explore history, and discover upcoming events as they peruse this guide. Insider Tips give visitors valuable information for making the most out of your Waterton experiences. Waterton offers majestic Rocky Mountain views, but there’s much more to this area than breathtaking landscapes. This mountain park is a prime destination for activities like hiking, golfing, photography, bird watching, and camping. Waterton Lakes National Park is also home to the township of Waterton Park. This township is full of great gift shops, restaurants, bicycle rentals, hotels, and everything else you would want for a wonderful stay in Waterton. Check out their 2018 guide in our Mobile Library at https://www.experiencetravelguides.com/travel-guides. Don’t miss out on being part of Waterton’s premier print publication. 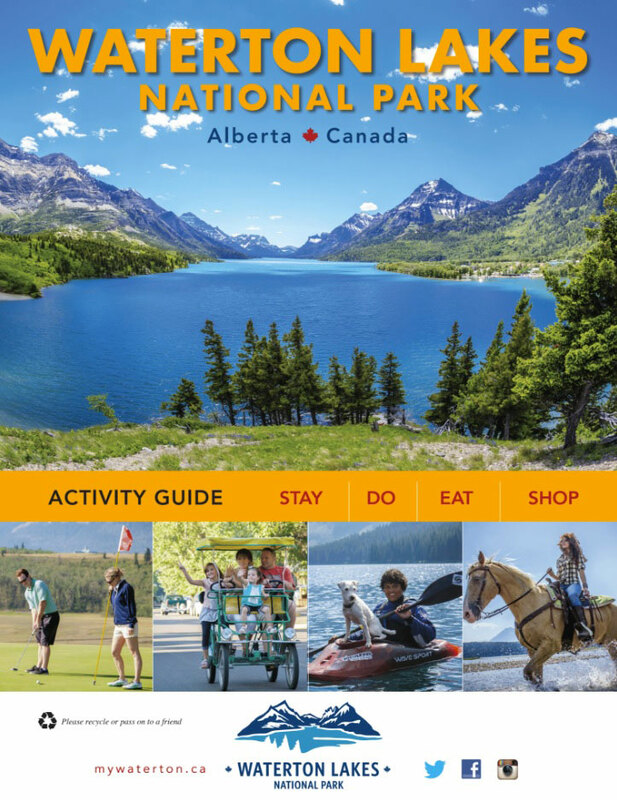 Placing an ad in the Waterton activity guide will enable you to reach an estimated 180,000 travellers. Visit https://www.cmipublishing.ca/advertise to view the media kit. The sales deadline was December 1, 2018 and the 2019 edition is now available through our distribution outlets. Not sure of quantity required nor what was ordered last year. Basically CMI published brochures and maps were popular last year. Either go with what was ordered last year or 400 copies of each. Thanks for your quick reply, looking forward to meeting you in May. We get a lot of visitors traveling through to Banff and we find your publication to be quite useful for them. “Well done to you and all the team, you are doing a great thing. I actually love all these little local guides you can find in Canada everywhere and they are really useful. This summer was my second time in Canada, but the first time I wasn’t driving around that much like this summer. I got to experience the real western hospitality (although I think is not western, it’s a Canadian thing and in particular an Alberta thing), camp in the parks, horseback ride for miles, go to a local rodeo and make new friends. If you think they could be useful for you, I can send you some pictures of my experience there, in particular with Anchor D Ranch and of the trails we did, and maybe a little wording. “Thank you as well, for my first year here at the Longview Hotel and your help in the advertising. We only had the one paid advertisement. We did have a blurb in a local magazine but our travellers consisted of several European tourists that have read your Experience the Kananaskis Magazine. I stopped keeping track in mid-September and still received results from the ad in late September. “I was excited to see a publication about my beloved park. I am in the park daily to walk my dog, cycle and/or hike. The things I most like about the magazine are the maps and the history.” 4 Stars. “We hand-picked living close to Fish Creek because of the trail system and easy access to the area. It is truly one of the most beautiful natural areas to enjoy in the Calgary Greenway system. When I picked up your guide I hoped to learn more about Fish Creek and what the area has to offer in terms of recreation use by learning more about the trail system. I liked ‘A Walk Through History’ and ‘Friends of Fish Creek’ articles the best.” Very informative. 4 Stars. “We use Fish Creek 3-4 times/week. We run, cycle and cross-country ski in the park and are volunteers at the garden at the Ranche and at events at the Education Centre. When we picked up your magazine, we hoped for news and information about the parks and you really delivered.” 5 Stars. “We’ve just recently started using Fish Creek. We take walks, swim and have family get togethers (typically bbq). It is so beautiful and very relaxing! We hoped your guide would help us better experience the parks and you delivered” 5 Stars.